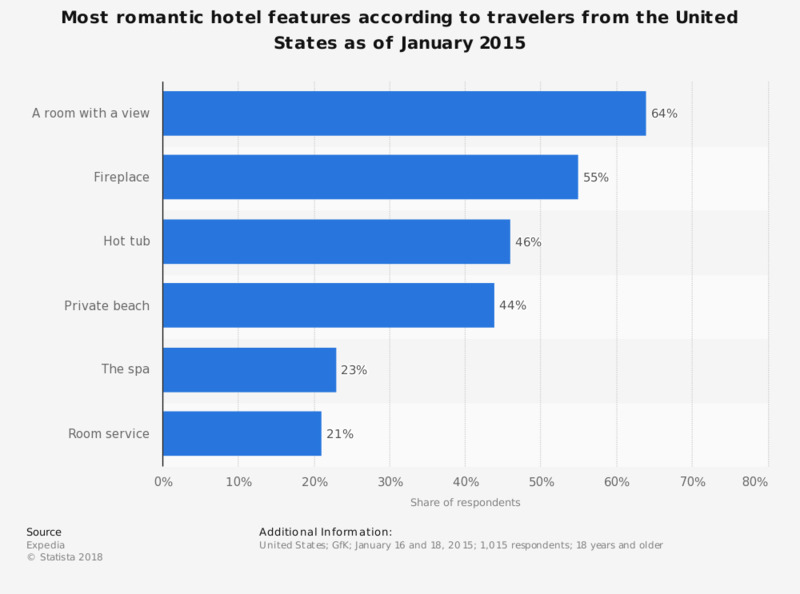 This statistic shows the most romantic hotel features according to travelers from the United States as of January 2015. During the survey, 64 percent of the respondents named a room with a view as the most romantic hotel feature. Thinking about your typical holiday/vacation, how do you feel during the stay?